One of things that draws people to pinhole photography is the ‘infinite depth of field’ that the medium is able to capture. A lot of people assume that this means that everything in the composition, from the pinhole to infinity will be sharp. Unfortunately this is not quite the case. I researched this in quite a bit of depth for my Masters degree, but the general consensus is that if you have the optimum sized pinhole for your cameras focal length, then everything from 20 x your cameras focal length should have reasonable sharpness. For instance. You have made or converted a pinhole camera, and its focal length is 50mm. Most online calculators will tell you that the optimum pinhole size for 50mm is around 0.3mm, give or take a few 0.01mms. I have found this to be correct and with my 50mm cameras I use the 0.3mm laser pinholes made by James at Reality So Subtle and have no issues with them. Your camera now has the optimum sized pinhole for its 50mm focal length and so the maths says that everything more than 1000mm away from the pinhole (50mm focal length multiplied by 20) should be of optimum sharpness. This maths does start to fall apart though in my experience once you start looking at parts of your image that are a very long way away, but thats for another post. So what to do about that. Well unless I can find someway of altering the way light and physics work…(one day Neil)…the only thing to do is to incorporate a lens of some kind. I don’t know if that’s frowned upon within the pinhole community or not. And actually, I couldn’t care less if it is. 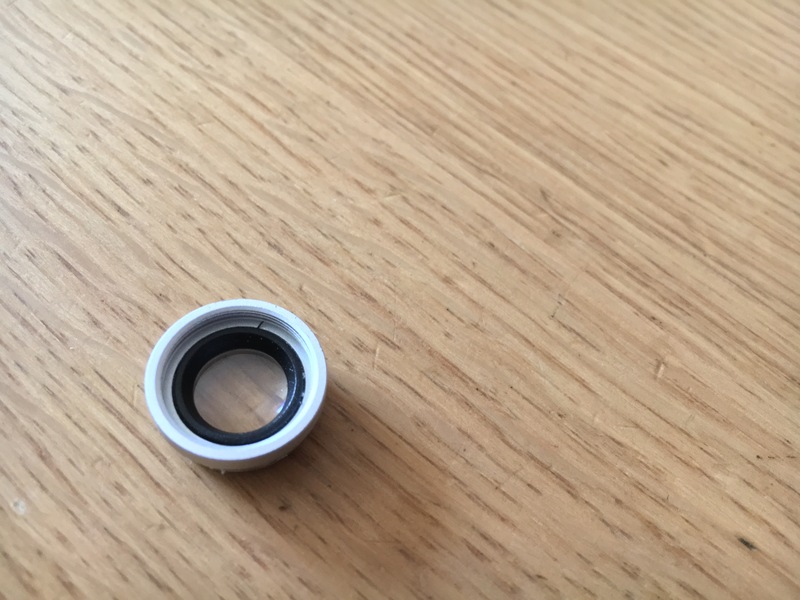 I came across one of those crappy little lenses the other day that are designed to go over your mobile phone camera lens and are supposed to let you shoot fish-eye, wide and, yup, macro on your phone. I tried looking through it at something really close and it seemed to work ok but I didn’t really know how it would perform on a camera, especially over a pinhole, so I tried it on the front of a pinhole body cap on my digital camera. Yes I have one of those kicking about…it’s a Canon 600d if you’re interested. The principle seemed to work, very well in fact. I did seem to be able to focus pretty well on subjects that were just a few centimetres from the pinhole. 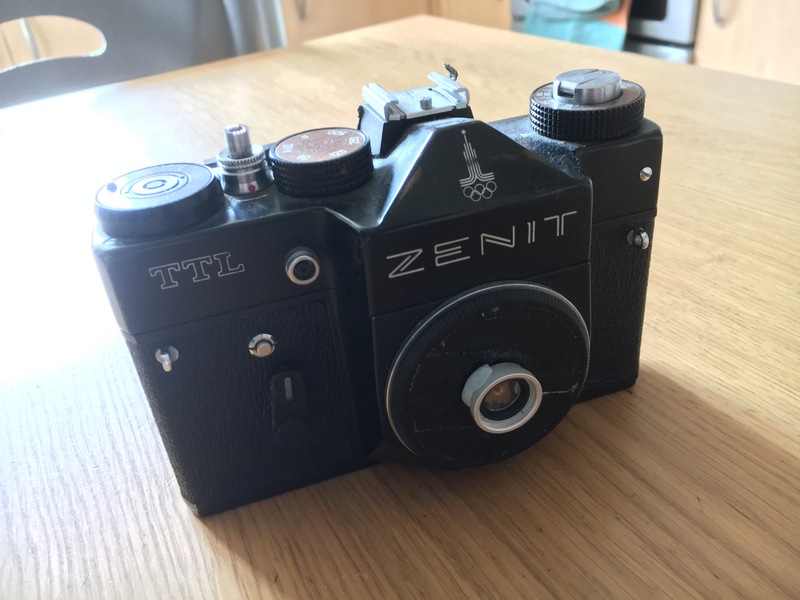 So I made a very sophisticated coupling system that allowed my to securely attached the lens to my Zenit TTL pinhole conversation (Blue-Tac) and set off to find something interesting to photograph. Well. Flowers. Macro always starts with flowers doesn’t it? They’re interesting and normally fairly common. Mine had to be static, indoor flowers as my exposure times were running five or ten minutes in some cases. And thats really about all there was to it to be honest. I used the Pinhole Assist app as I would normally – again I cannot say enough good stuff about this app, and told it that I was using the Zenit, which is pre-saved in the app, and that I was using Ilford FP4, again, pre-saved with reciprocity failure rates, and away I went. Some images worked well, some not so well. I think the ones where I was too close didn’t come out so good. Below are my favourites. Oh yeah one last thing. I mentioned above that they were taken using Ilford FP4. Thats not incorrect and yes its a black and white film. The colour that you can see is the result of scanning the black and white negs as they actual colour they are. Just so you know, and just in case you care. I hope you care, I mean you’ve made it to the end of the post…?! Blogging A Dead Horse WordPress.com.